Australia's Prime Minister Malcolm Turnbull has on Monday returned to capital Canberra to decide on his Cabinet ministers for the 45th Parliament, after he secured victory in the 2016 federal election. 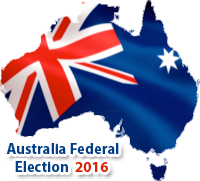 Turnbull proclaimed victory on Sunday, Xinhua news agency reported. However, before Turnbull can be sworn into Parliament, he must decide on which ministers will take up cabinet positions, after three cabinet members were not re-elected at the election. The prime minister wrote to Sir Peter Cosgrove on Monday saying Opposition Leader Bill Shorten had conceded and the coalition had at least 74 seats plus the commitment of two independents for confidence and supply. "In these circumstances I advise you that I am in a position to form a ministry that has the confidence of the House of Representatives," Mr Turnbull wrote. Sir Peter wrote in reply noting the prime minister's advice. "I accept your advice that you are in a position to form a ministry that has the confidence of the House of Representatives," he wrote. "And I await your further advice on proposed changes to the ministry and related administrative arrangements."